I realize most of America watched today’s coverage of the 9-11 ceremonies. I decided to listen to it on the radio. I chose WOR-AM which broadcasts to New York City. The coverage, which was excellent, consisted of political figures in office at the time of the attacks, as well as first responders and family members of those who died. There was also an incredibly compelling recounting of the day by a man trapped in the towers after they fell, I believe he was a police officer, he survived, those with him did not. He was absolutely riveting. The station also cut away from host John Gambling to cover segments of the proceedings at Ground Zero live. This was well done. However, there was one thing that really disturbed me. Among the promises that ‘We will never forget’ came the assertion from Gambling’s cohost that, ‘America has never been attacked they way it was on September 11th’. Wow! Have we forgotten Pearl Harbor, the War of 1812 and the American Revolution? Time has erased these from our collective memories. We know they happened, but we don’t have the powerful images of planes crashing into the towers or the buildings collapsing. The black and white footage of Pearl Harbor makes it seem much more distant than it really is. The wars prior are confined to paintings. Still that is no excuse for ignoring our history. We have been attacked in the past and we may be in the future. 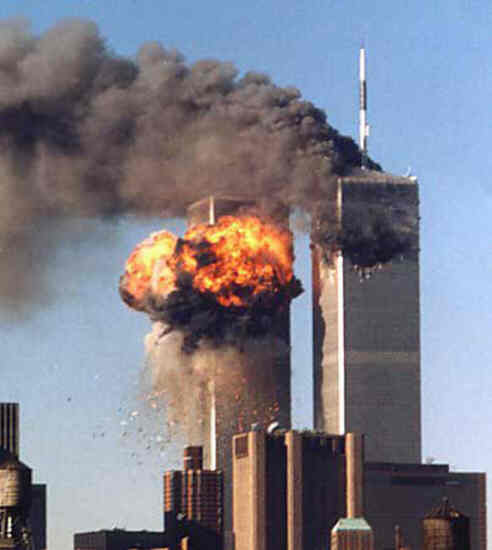 For broadcasters covering these events it is important to note that 9-11 is not special because it had not happened before, it is special because it happened again. Posted on September 11, 2011, in Radio and tagged broadcasting, journalism, media, news, radio, television. Bookmark the permalink. Leave a comment.